If you’re juggling a family or you’re on a backpacker budget, a Standard seat - with its full leather seats and adjustable headrests - is the way to go. You get to choose what add-ons suit you, such as meal options, baggage options, inflight entertainment, Hot Seat or Twin Seat or more, and one thing's for certain - booking this section will make sure you arrive at your destination with spending money still in your pocket! But if you’re interested in a little more relaxed down time on your flight, make your way to the Quiet Zone. Quiet Zone is a perfect bubble of tranquillity that is available to travellers tens years old and up. In this oasis you will find cool ambient lighting designed to create a more relaxing atmosphere in which to rest. Located towards the front of the AirAsia Airbus A330, you’ll experience minimal noise or disturbance - a perfect spot for those seeking more inflight relaxation. But if you want the ultimate stay-fresh flight, take the next step and book into AirAsia’s award-winning Premium Flatbed. Premium Flatbed comes with privacy screens, adjustable foot-rests, pillows, duvets and so much more to ensure that you catch every possible Z. 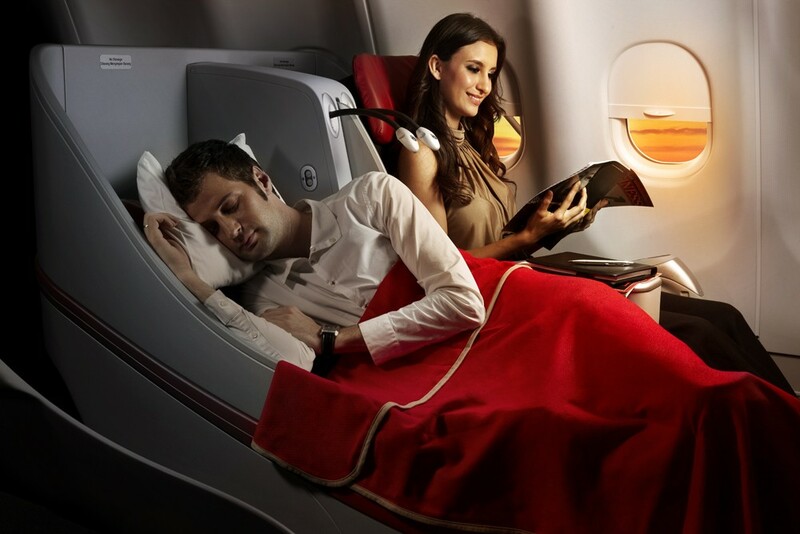 If you’re dashing to KL on business, this spacious sleeping option has your name all over it! This fantastic range of seating guarantees there is a choice that will suit everybody’s budget, comfort and taste, so get ready to fly to Asia in affordable luxury with AirAsia from Avalon Airport later this year!